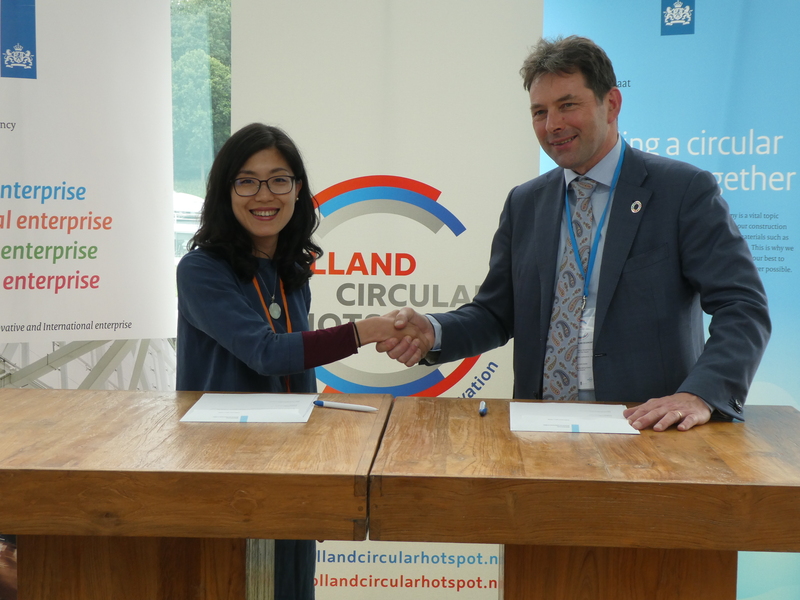 Today a Memorandum of Understanding was signed during the Holland Circular Economy Week at Rijkswaterstaat’s the LEF Future Centre by Freek van Eijk, Director Holland Circular Hotspot and Hui-Ling (Shadow) Chen, CEO Taiwan Circular Economy Network (TCEN) . Today two Memoranda of Understanding were signed during Holland Circular Hotspot’s Holland Circular Economy Week at Rijkswaterstaat’s the LEF Future Centre in Utrecht. Freek van Eijk, Director Holland Circular Hotspot and Hui-Ling (Shadow) Chen, CEO Taiwan Circular Economy Network (TCEN) signed a Memorandum of Understanding to enforce their relationship. TCEN visited the Holland Circular Economy Week with 34 delegates. From now on they will share, amongst others, tools, insights and best practices in the field of business, government and knowledge. Also they will align events and exchange market opportunities. Delegates came to the Netherlands with the ambition to help to accelerate the transition towards a Circular Economy as an alternative to a traditional linear economy. This MoU is the next step in already a long period of collaboration. Another MoU was signed between five European circular hotspots.